Crossbones - unveil "WWIII" album' cover art! 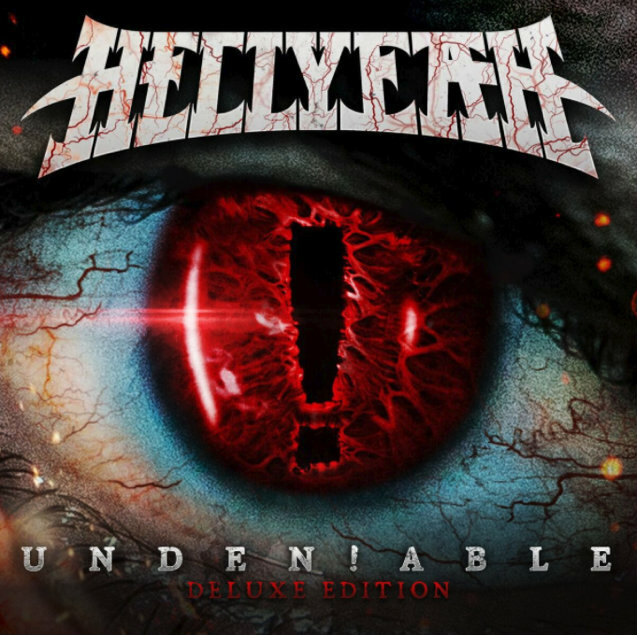 HELLYEAH will release a “deluxe” edution of its latest album, “Unden!able”, on October 27 via Eleven Seven Music as a CD/DVD Best Buy exclusive and CD and live audio digital deluxe. The physical package contains the fan-shot live concert DVD, “We’re All In This Together”. The digital package contains the live audio from the DVD. “Unden!able” features three Top 10 U.S. Active Rock singles, including “Human”, “I Don’t Care Anymore” and “Love Falls” — currently at its highest position at No. 7. Featuring footage from HELLYEAH‘s Australian leg of the 2015 “Blood For Blood” world tour captured by the band’s fans, “We’re All In This Together” also features frank on-camera discussions with HELLYEAH founder Chad Gray discussing the heavy metal lifestyle and their history within the heavy metal community. “Sangre Por Sangre (Blood For Blood)” live audio from “We’re All In This Together” can now be streamed below. “Unden!able” was released on June 3, 2016 via Eleven Seven Music. The disc marked the first time HELLYEAH‘s current lineup — singer Chad Gray, guitarists Tom Maxwell and Christian Brady, drummer Vinnie Paul and bassist Kyle Sanders — recorded together as a unit. Maxwell recently confirmed that HELLYEAH will once again work with producer Kevin Churko, who helmed “Unden!able” and 2014’s “Blood For Blood” record. “Yes, I hope so, yes,” the guitarist said. “I don’t wanna work with anybody else. [He’s] kind of like the sixth member. “For me, producers… It’s a loosely thrown around word,” he continued. “In my opinion, most producers are just glorified engineers. They know how to do good sounds, but a good producer, to me, is a composer who can bring ideas, who can help you re-write your song five or six different ways. And that’s a good thing to have. I welcome feedback, and I welcome other ideas. It just inspires me. You might not like it, you might like it; you’ve just gotta try it and see if it works.